Twelve men suspected of taking part in a dramatic, multimillion-dollar theft from an armored car company in a Paraguayan border city have been arrested in Brazil, officials in the Brazilian Federal Police said Tuesday. 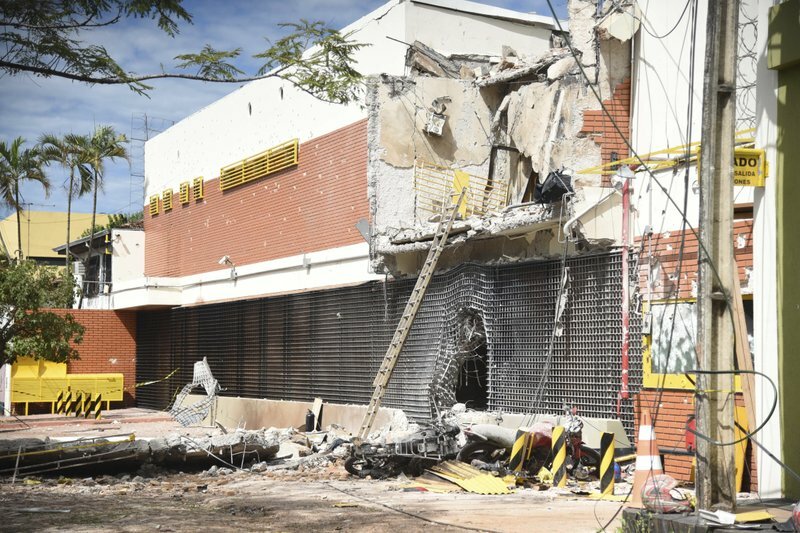 The men are thought to be among roughly 50 men who used explosives to blast into the vault of the Prosegur company in Ciudad del Este, then escaped into Brazil, Federal Police Inspector Fabiano Bordignon said. Paraguay's Interior Ministry later said three presumed members of the gang had been killed in a shootout with Brazilian federal agents in Brazil, about 70 kilometers (45 miles) north of Ciudad del Este. It did not provide more details. Juan Cocci, Prosegur's president for Latin America, told Radio Mitre in Argentina, that in the multi-stage attack, gunmen with assault rifles attacked a police station at 2 a.m. Monday, killing one officer and wounding four people. The gang also torched about 16 vehicles and set off grenades in three locations near the company's headquarters, in what Cocci said was part of a plan "to distract" authorities before attacking the building and blasting into the vault. Cocci said about $8 million was missing from the vault, which he said held $49 million before the assault. Brazil's Federal Police Department said law enforcement agents had so far recovered the equivalent of nearly $1.5 million in Brazilian reals, Paraguayan guaranis and American dollars. 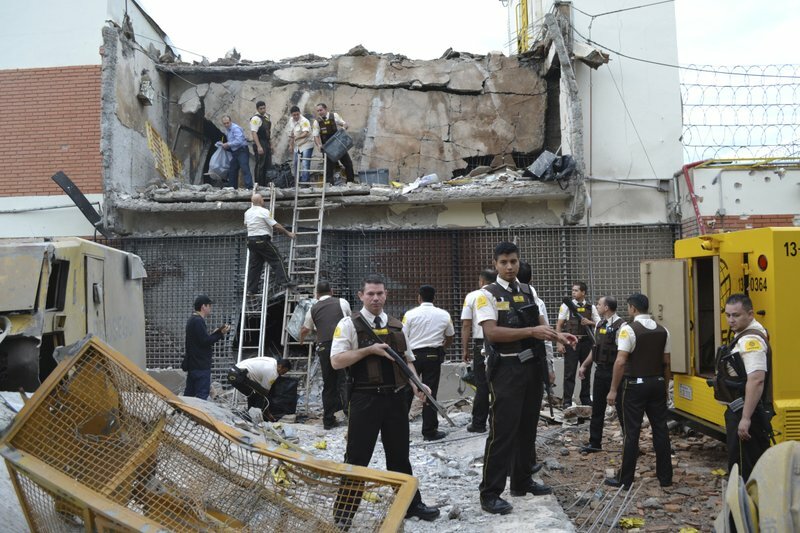 Department, where Ciudad del Este is located, said the attackers are believed to belong to Brazilian organized crime groups like Sao Paulo's First Capital Command or Rio de Janeiro's Red Command. Paraguay's national police said it had relieved Ciudad del Este's four top police commanders "to optimize police services in the region." 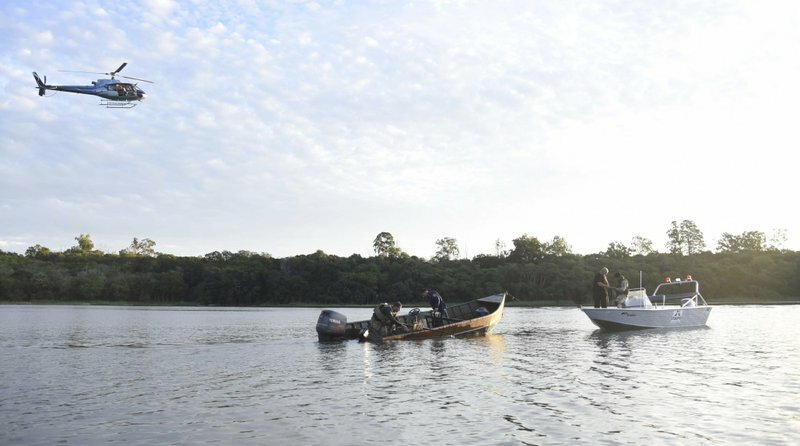 Ciudad del Este sits in the "Triple Border" region, where Paraguay, Brazil and Argentina meet and where contraband electronics, drugs and arms flow across porous borders.